The general shape of this design requested by Mirko is that of a manta (symbolizing freedom and beauty), and we placed an edelweiss inside it, surrounded by mountains (stability and, in this case, the mountains where edelweiss flowers grow as well). 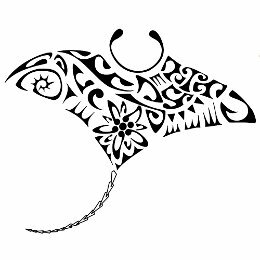 On top, shaping the edge of the manta we placed a hammerhead shark (tenacity, determination and strength) with a triskell enclosed (union of the elements, earth, sky and water, and eternity). 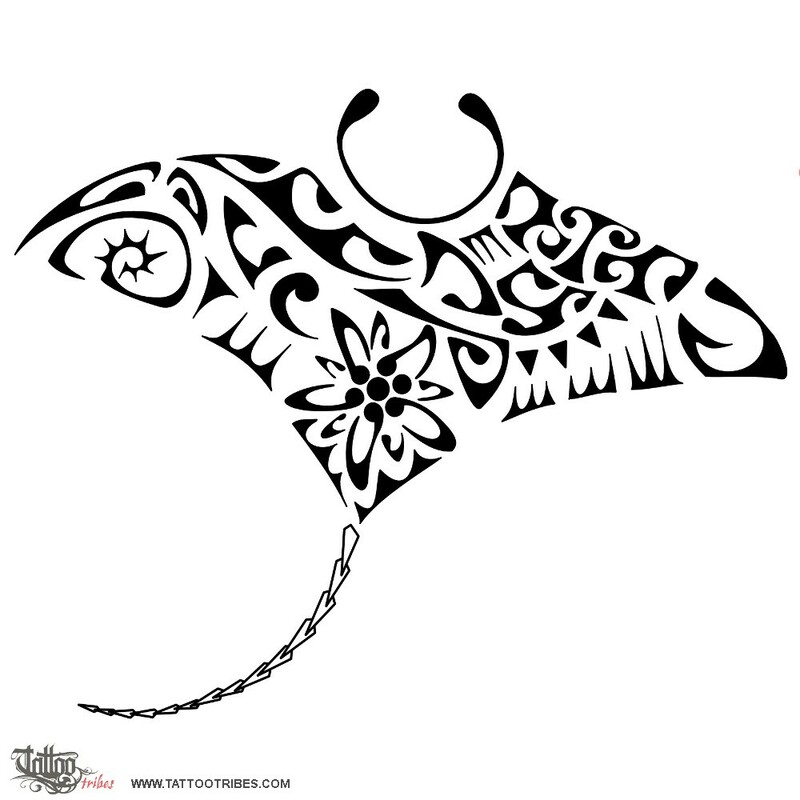 On the right wing of the manta there is a fish hook (prosperity and wealth) and on the left wing we placed a seashell (love, safe shelter and prosperity too). The waves in the shark´s body are for change and the koru next to the edelweiss is a symbol of new beginning.